Product prices and availability are accurate as of 2019-04-10 16:42:32 EDT and are subject to change. Any price and availability information displayed on http://www.amazon.com/ at the time of purchase will apply to the purchase of this product. Sow seed tape makes it easy to handle seeds. Allows sowing in perfect rows. Reduce the time, work and loss involved in thinning seedlings. Creates uniform emergence of seedlings. 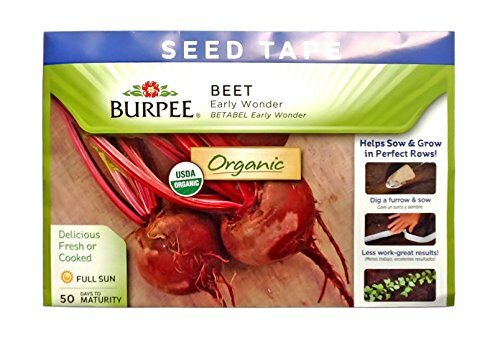 Certified USDA Organic seed tape dissolves after planting, environmentally friendly.